Marcy Design is a results-driven creative agency located in Columbus, Ohio. We’ve won over 220 awards, created over 1,000 websites and developed over 13,000 marketing projects. From the day our founder set foot on the top of Mount Marcy to today, Marcy Design’s mission hasn’t changed. Our goal is to deliver great results for your business. Now 30 years later, we are proud of our history and excited about the future. For us, we feel blessed that we get to do what we love to do every day. Our clients trust us with their web, marketing, advertising and social media campaigns. Marcy Design will provide your business with innovative marketing ideas and a plethora of creative energy. By working with us, your business can become more effective at marketing and increase sales through both online and traditional methods. We’d love to get to know you and for you to get to know us better, so let’s catch up and see how we can help you achieve your goals. 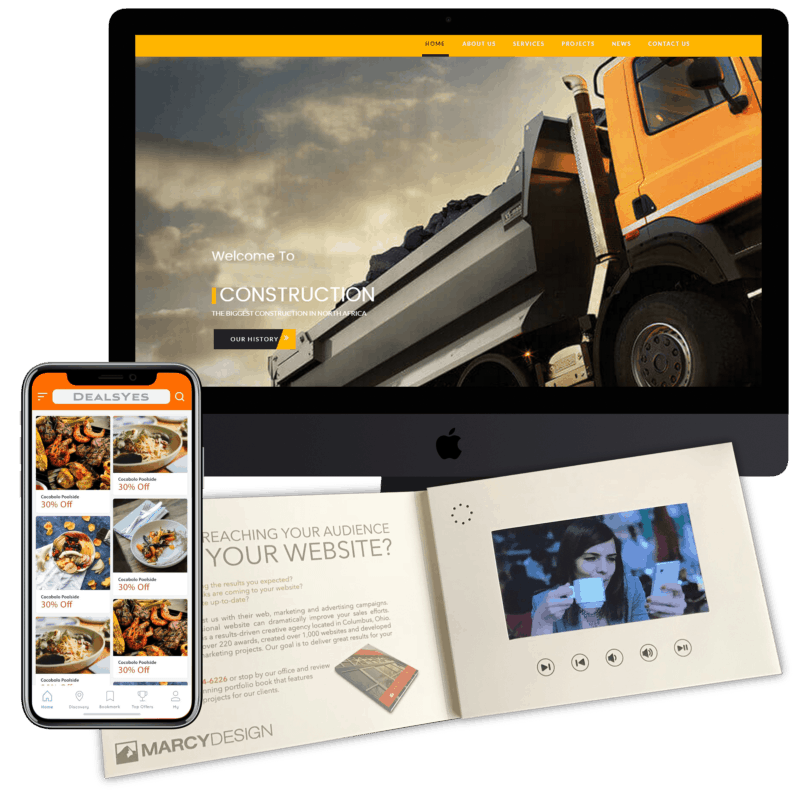 Marcy Design is full of bright minds and specialist skill sets that can be put to work on achieving your business objectives through web, marketing and advertising. We only employ people that really blow our minds with their brilliance, there’s no such thing as good enough – we need to be rendered speechless. From smart strategists and precision planners to the most distinguished designers, you can rest assured that only the best people will be working on your projects. Take a look at some of our award-winning work or drop us a line to see how our experts can help you excel. Even the biggest brains and the greatest creative talents need to sharpen the saw and with marketing changing at such a rapid pace, we understand that it is essential to keep abreast with the latest techniques, tactics and technology. We also work smart, constantly evolving our working processes to become leaner and deliver efficiencies for you, our client. Design and marketing companies that can make things “look nice” are a dime a dozen. What separates the wheat from the chaff is the ability to generate award winning performance and stellar financials from the pretty pictures. We start this process by underpinning every activity with a degree of accountability that is as uncompromising as it is effective. Having made sure we deliver what we have committed to delivering, as promised, we then make sure that we have the facility in place to measure results and respond accordingly. Ultimately, we know the thing that matters most to you are the results generated from your marketing, so we place that at the top of our priority list too.